Who can resist a touch of gold? 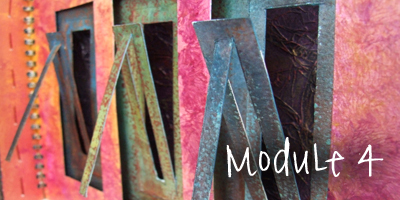 Discover how to add that metallic gleam to your paper and fabric projects. In this workshop collection we’ll show you how to add gold using a variety of media from pens to ink and gold leaf. Learn how to apply gold to your sketchbook pages and to fabric. Experiment with a range of different media with your drawing approach. Try a painterly style with oil pastels, restrict yourself with a limited range of media for a sketchbook study, and experiment with layering in your drawing using pen, coloured pencil and wash. 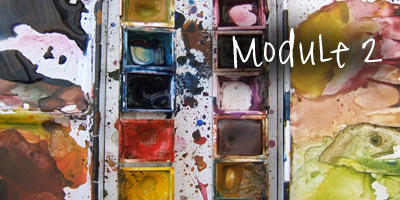 Try your hand at creating a mixed media painting. Using a wooden panel, canvas or piece of card as a base, build up layers of collage, acrylic paint and drawing to complete your work. Laura will guide you through every step in detail, including how to apply layers of glazes with acrylic paint for richness of colour and luminosity. Join Linda to use stencilling techniques on fabric to create a beautiful floral wall quilt. 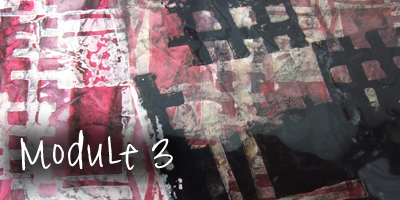 She’ll show you how to use paint sticks such as Markal to stencil your design to fabric for a painterly effect. Next she’ll talk you through how to approach the stitching to add detail and interest. There are two workshops in this collection. Are you up for a challenge? How about working along with Linda as she records events, people and places in a visual art diary? It’s a fascinating way to approach a creative challenge – you just let your imagination respond to each day as it happens. In this archive collection you’ll be encouraged to collect inspirational material, write, draw, print, paint and stitch – before you know it you’ll have experimented with a huge range of art techniques and you’ll have a sketchbook bursting with ideas to inspire future work! 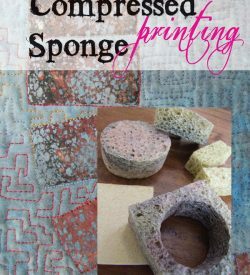 In this collection you’ll discover four video workshops where Linda will demonstrate everything you need to know to use the simple technique of rubbings in a variety of creative ways to make beautiful pages in your sketchbook. Linda will then demonstrate how she uses the sketchbook ideas to inspire a lovely stitched appliqué panel using the same rubbing technique directly to fabric.